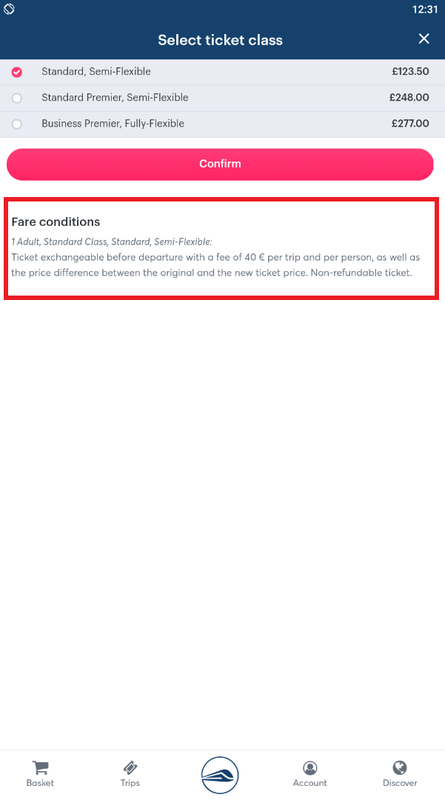 Flexible fares do not allow you to travel on any train. They are almost always bound to the specific departure time that you book. 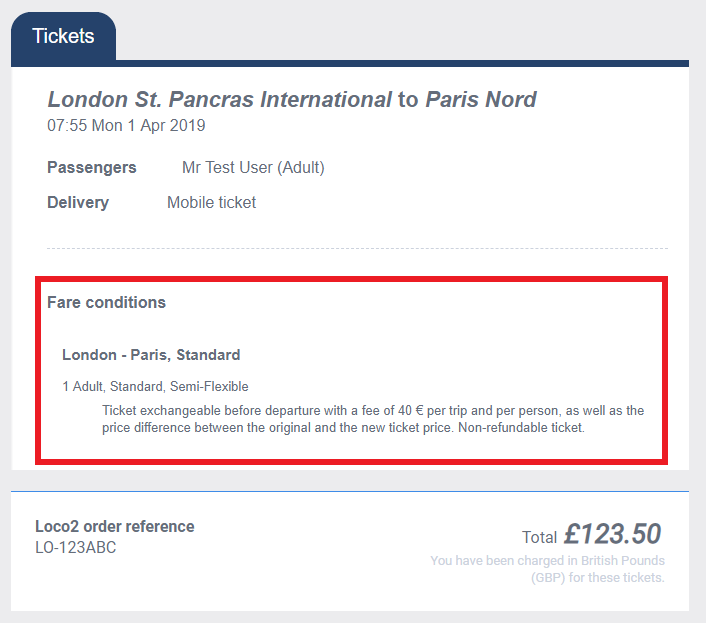 The term "flexible" refers to the fare type and the fees charged by the rail operator if you want to exchange or refund your tickets, not your ability to travel on an earlier or later train. Below is a summary of the usual fare types. However, there are exceptions so you should always check the fare conditions associated with your tickets before buying. Non-flexible Normally the cheapest fare type. However, non-flexible tickets are often non-exchangeable and non-refundable. Semi-flexible More expensive than non-flexible tickets, but permit exchanges and refunds with a moderate fee. Rail operators may charge a fixed fee per passenger or a percentage of the total ticket price. 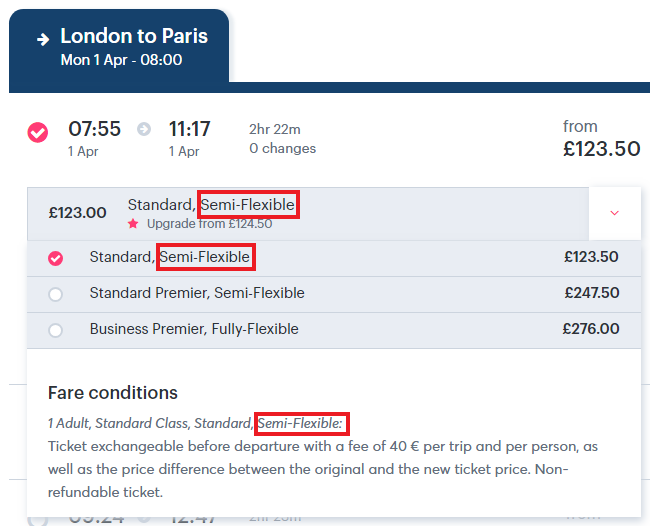 Fully-flexible Usually the most expensive fares. Fully-flexible fares usually permit refunds and exchanges with little or no fees. Sometimes refunds are even available after departure. There is some variation between rail operators, so you should read the conditions carefully before committing to purchase. 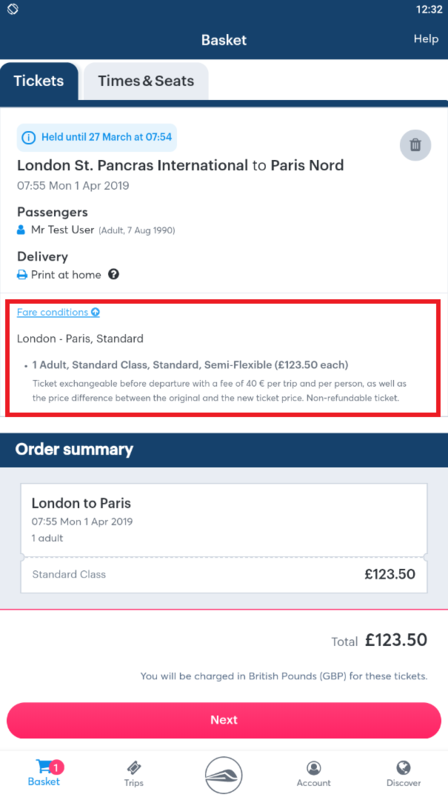 "Fully-flexible" fares should not be confused with "Anytime" fares in the UK and "Open Tickets" in France. Anytime and Open Tickets are valid for a variety of departure times. The fare conditions of these tickets will clearly indicate their usage restrictions (e.g. "valid for one month from start date"). If you have a Loco2 account you can view the fare conditions by logging in and clicking the order in your Purchase history.